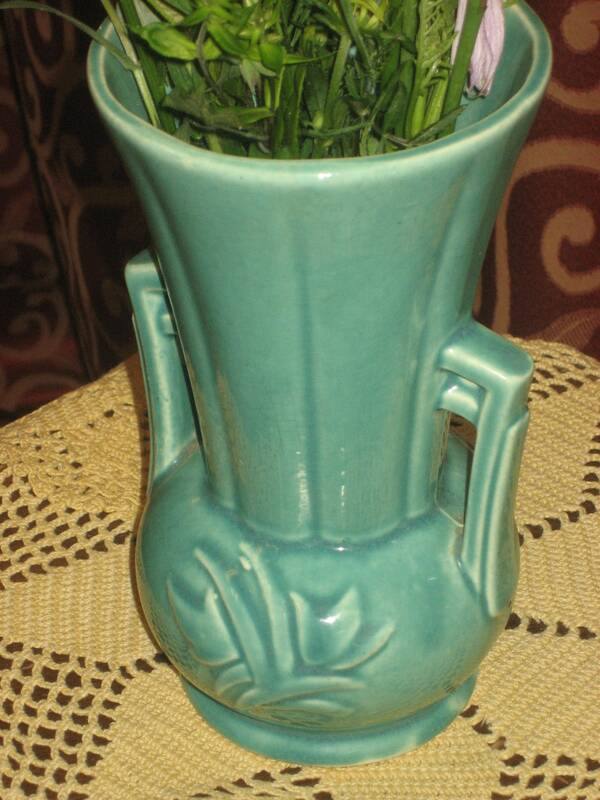 1940's, 9 green ceramic McCoy vase. 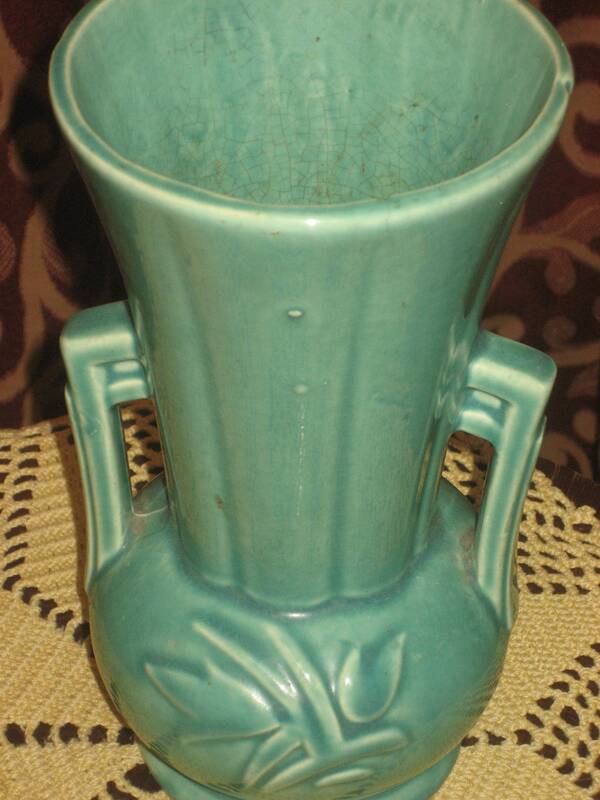 1940's, 9" green ceramic McCoy vase. 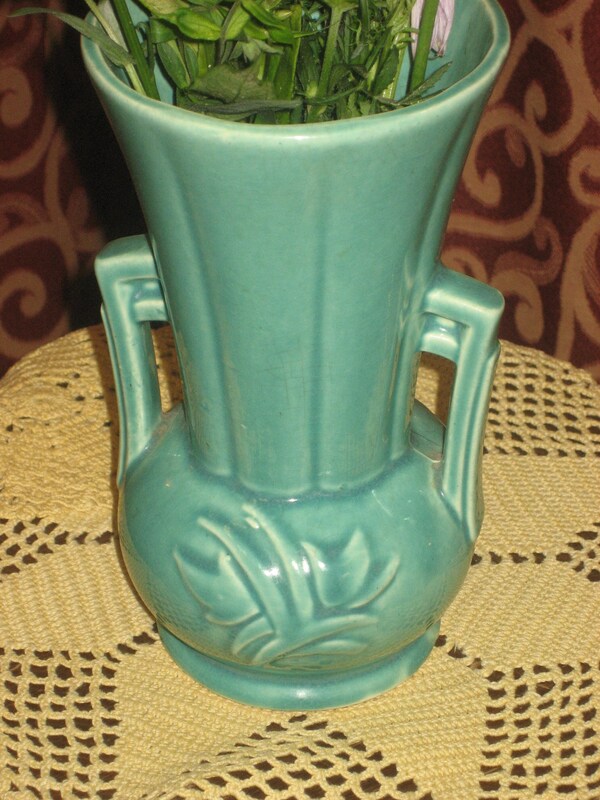 1940's, 9" green ceramic McCoy vase. Vase has a wide mouth and square handles at each side. Bottom of vase s wider than middle of vase. 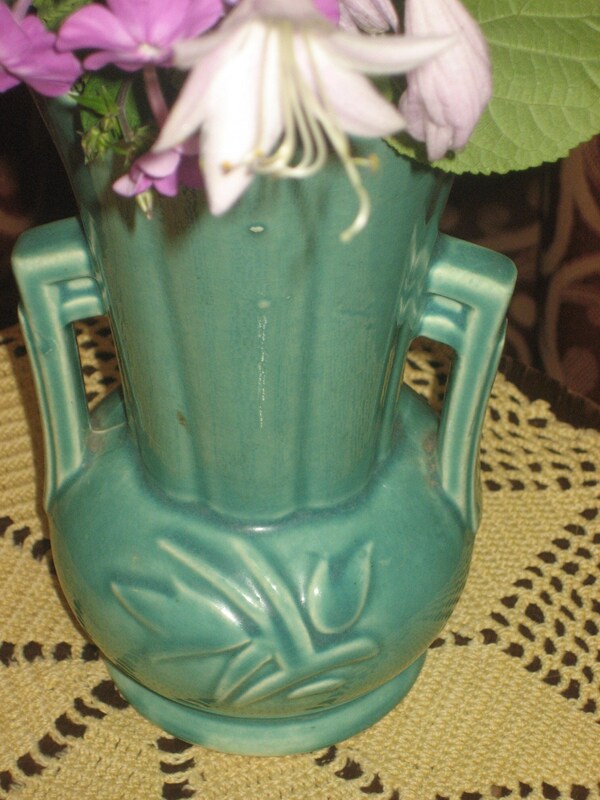 Middle of vase is embossed with flowers and leaves.